﻿ Florida East Coast Railway, Connecting Florida to the world. Florida East Coast Railway, Connecting Florida to the world. 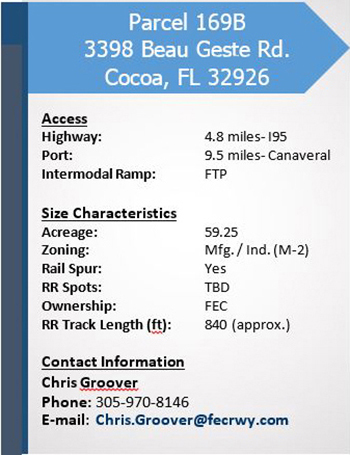 Florida East Coast Railway’s (‘FECR’) mission is to help provide FECR customers, as well as businesses considering a Florida solution, with important resources and direction including identifying potential rail sites along FECR’s 351-mile track from Jacksonville to Miami. 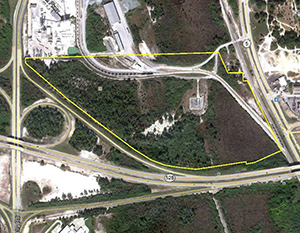 Locating the ideal site requires more than simply finding the ideal acreage or building. All facets including engineering, site layout and logistics assistance can be addressed by the FECR carload team. 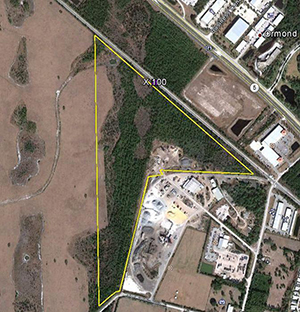 Please contact us for assistance with any upcoming Industrial Development projects within the State of Florida. 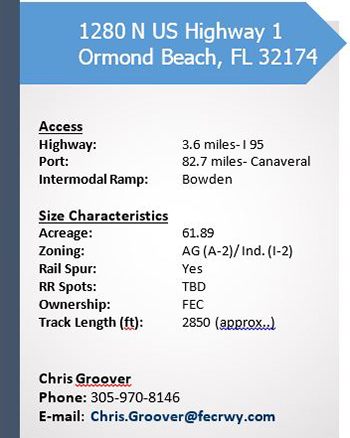 If you are interested in any of our featured sites & properties below or if you are considering any re-location, expansion or development on Florida’s east coast contact us via the information below or simply go to http://www.fecrwy.com . Receiving commodities, but no way to unload? 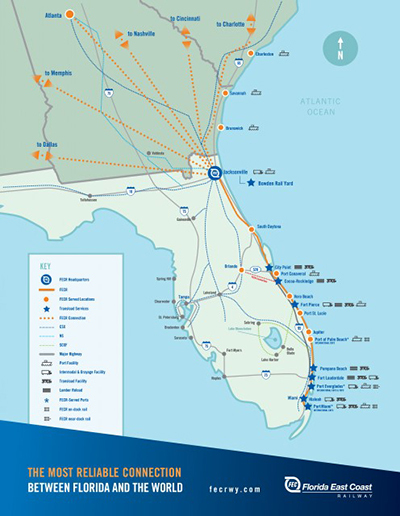 Florida East Coast Railway’s (FECR) distribution network, located along the east coast of Florida, is comprised of 9 facilities statewide. This diverse network of facilities allows non-rail served customers to enjoy the economies of long-haul rail with the convenience of localized trucking. 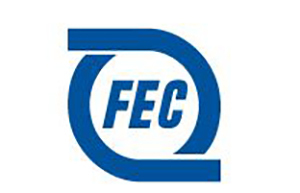 In the growing Florida marketplace, FECR aims to offer efficient and cost-effective transloading, storage and distribution solutions for shippers and receivers. Alpinos Logistics and Distribution, Inc.